Looking for something sweet for your child? 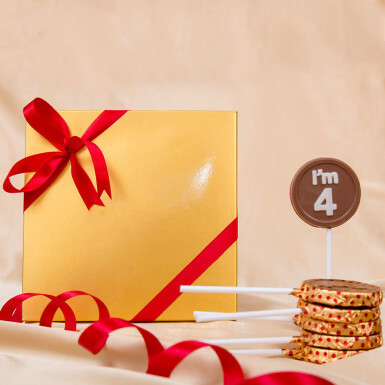 Then here is a fantastic gift box consisting of 6 chocolate lollipops, ready to indulge your child in its immense sweetness. All the chocolate lollipops are made of milk giving a smooth texture & taste to it. Become the reason of their cute smiles by presenting such a wonderful gift on their birthdays. If your child is turning four then this gift is perfect for them. Go ahead & place your order right now at Winni.